Head bowed, William John Jarvis grips the wooden stand to steady himself. His legs almost give way as the Recorder reads out the charges for embezzling letters from the Postmaster General. The postman has dreaded the trial since his arrest in March. Yet he has longed for it too, for the waiting to be over, and to know of his punishment. Awake at night, sick in the stomach, his mind has raced, imagining the content of the letters he left undelivered and the harm he inflicted on their senders and recipients. Shame overwhelms the prisoner as the jury is asked to consider his numerous victims. A tradesman ruined by a bill unpaid… A child unaware of a mother’s request to visit… A husband prevented from rushing home to see his dying wife. He fumbles for his handkerchief and dabs his eyes. The letter carrier has offered no reason why he hid nearly four hundred letters and newspapers in his sitting-room cupboard and the small writing desk in his bedroom. From the moment of arrest, he has acknowledged his guilt—the only offence in his twenty-seven years. He’d known it before, sitting immobilised in his room, staring at the incriminating envelopes and parcels. The testimony of the witnesses, who speak on his behalf, only amplifies his degradation. An excellent character, reliable and trusted, fondly named the Flying Postman. He wipes another tear. The jurymen recommend mercy though they find the prisoner guilty. Sentencing William Jarvis to seven years transportation, the Recorder announces the magistrates will petition the authorities for mitigation. But the prisoner hears only the pronouncement of guilt. From the gallery, Sarah Martin has watched each prisoner intently as they stand in the dock. She has never witnessed a defendant so racked by remorse as Jarvis. He stood the image of grief, each hand resting on part of the box, except when using his pocket-handkerchief and head quite bowed down. Compared with the apparent calm of Charlotte Yaxley, arraigned for drowning her step-daughter, in his deep sorrow it seemed as if Jarvis were the murderer. The agony of grief the prisoner has shown, since the day he was committed, has never worn off, writes the prison teacher. He never allowed a single word in his own extenuation. Not a moment has his countenance lost the deep expression of sadness. Sarah Martin is permitted to see William Jarvis alone. Given his contrition, it is her duty to speak of comfort. A petition for mercy is being raised. Perhaps he will be allowed to serve his sentence at the General Penitentiary at Milbank rather than be sent to the hulks to await transportation. The prisoner is afraid to hope. My trial was conducted with justice in its mildest form and both the Recorder and Jury were kind. I will bear all patiently and never allow myself to utter a single complaint. Did you think of destroying those letters? the teacher asks, the question everyone pondered during his trial. Such a thought never entered my mind, Jarvis replies. Once he had missed the delivery time, he was too afraid to acknowledge his error. The prisoner thanks Miss Martin for the books she places in his hands and turns their pages gratefully. I hope I may be able to keep a Bible with me, wherever I am sent. Tomorrow the prisoners sentenced to transportation will be dispatched for the hulks. Sarah Martin visits each in turn. She is anxious less William Jarvis might mistake sorrow for punishment, for repentance before God. Clasping the Testament to his chest, he reassures the teacher, thanking her for bringing him its truth. My mind is more composed now. Much as I suffer, I feel a support under it. It was not so when I first came. The first thought I then had, was, in some way or other, to take away my own life and yet escape damnation. I have sent a letter, the prisoner explains, to the young men I used to meet of an evening, to be worried by my example. Now my character is gone, I would rather leave the country and settle when free—wherever it might be—were it not for my mother and sister. I fear my departure might hasten my mother’s death. They are all alone since his father died four years ago. What will become of them? Without irony, Sarah Martin ends her last observation of William Jarvis by noting, I am told he was too fond of skating and lost much time in winter by that. 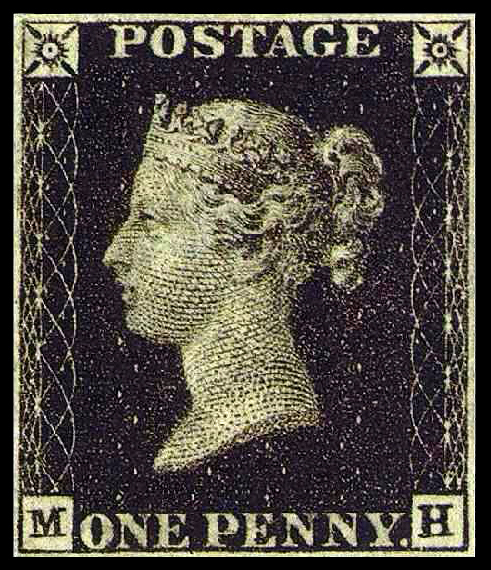 William Jarvis had been a shoemaker but took up the position of postman shortly after the Royal Mail introduced the penny black postage stamp in 1840. The new uniform charge for delivery anywhere in the UK, and paid by the sender rather than the recipient, made letter writing affordable to all but the very poor and dramatically increased written correspondence, necessitating the hasty recruitment of carriers. In 1849, 347 million letters were posted, in comparison with 79 million in 1839. The success of this revolution in communication depended on public trust in the Royal Mail and its employees. Before letterboxes were inserted in front doors in 1849, correspondence was delivered by the postman directly into the hands of someone at the marked address. Letter carriers had to be literate—like Jarvis—and reliable and friendly. To ensure the integrity of these important public servants, tampering with the mail was assigned a fixed penalty of seven years transportation that the Mayor, as judge of the Quarter Sessions, was compelled to impose on Jarvis. It is likely Sarah Martin’s reports of the prisoner’s conduct encouraged the magistrates to draw up the petition for clemency on his behalf. William Jarvis signed the formal legalize that characterized such documents. The prisoner represents his good character & sincere contrition which he states had affected his health. He prays for mitigation. Signed by 150 of his townsmen, the petition requested his punishment be remitted or that William Jarvis serve his time in Britain. The impressive number of signatories testifies to the compassion aroused by the prisoner’s penitence and despair. The Royal Mail delivered the petition swiftly to the Home Office. It was rejected promptly on 6th June, four days after the Yarmouth Gaoler escorted Jarvis and four other convicts to the Warrior hulk, moored at the Woolwich dockyard and arsenal. Launched in 1781 as a 74-gun third-rate naval ship, in 1840 HMS Warrior had been converted into a hulk to carry around six hundred convicts. The Yarmouth convicts were placed in the large and crowded lower deck which housed nearly half the ship residents, including all new arrivals still smarting under the pain of disgrace and separation from their homes, and those undergoing lengthy sentences or whose conduct was bad. Unless quickly transported, in three months they might move up to the less crowded middle deck if they behaved well and, within twelve months, to the warmer and better ventilated upper deck. Convicts were employed in general labouring jobs with hours similar to those worked by free labourers—cleaning guns and shot in the arsenal and hauling coal at the docks or loading and unloading vessels. Weakened by distress, William Jarvis was unfit for hard work and soon was admitted to the Unité hospital ship where, by September 1841, he was being treated for sloughing ulcers, most likely pressure sores from being confined to bed. His health improved by December but in March 1841 he was suffering from bronchitis and by June had been diagnosed with phthisis or tuberculosis—then incurable and the largest cause of death among the young adult, urban poor. When the Unité hospital was inspected in April 1841, shortly before Jarvis’s arrival, a hundred convicts were crammed into its beds, the majority with chest conditions. Between October 1840 and May 1841, almost two-thirds of the men from the poorly ventilated lower deck of the Warrior were admitted to hospital, where convicts were particularly vulnerable to infection. Thirty-two men from the Warrior died that winter—over 5% of the 608 convicts on board. Complaints made by convicts to T.S. Duncombe, Radical MP for Finsbury, prompted a select committee inquiry in 1847 into conditions at the Woolwich hulks and the treatment of prisoners, led by William John Williams, whose brief as Prison Inspector had included Great Yarmouth Gaol. Unlike other penal institutions in England and Wales, the hulks were not subject to annual review by the Prison Inspectorate. The inquiry exposed the devastating consequences of the absence of oversight and accountability. Williams’s damning indictment of abuses in prison discipline and the physical and moral neglect of the men prompted the immediate retirements of the Superintendent of Convicts and Chief Medical Officer, both long-serving and self-serving. His report allows us to imagine Jarvis’s confinement aboard the Unité, for Williams reserved his strongest criticisms for the treatment of patients on the hospital ship: their filthy condition, the paucity of clothing and bedding, the inadequate provision of religious and educational literature, and absence of spiritual attendance on the dying and respect for the dead. He knows his time is near. He lies exhausted by the last coughing fit, his shirt newly spotted blackish-red over the brown stains from weeks of sweat and phlegm and blood. He no longer notices the lice crawling through his matted hair. He draws in thin gasps of air that bubble in his throat. Who will be with him at the end? The chaplain rarely comes and does not learn their names or ask their sorrows. Thank God he has the Testament Miss Martin gave him after the trial. Too tired to reach for it, he mouths the words from his Book of Prayers, silently. Thy testimony is wonderful: therefore doth my soul keep them. When thy word goeth forth: it giveth light and understanding unto the simple. I opened my mouth, and drew in my breath: for my delight was in thy commandments. He used to talk with the men in the iron bedsteads each side of him. When they had strength, they would shuffle up and down the deck, stopping to greet new arrivals and to share misfortunes. Sometimes he would teach young lads their letters, the way Miss Martin did at Yarmouth. But his old companions are gone—one returned to the Warrior, the other dead. He has no energy for getting to know their replacements. Please God he will not be taken at night. He has seen it so often. There are always those waiting to pounce on the dead to rob his pitiful possessions before someone shouts for the guard. Then the body is dragged onto the floor, scrubbed down with a hard brush, and left naked and exposed till morning when it is pulled across the deck to begin its final journey to the dead-house and burial ground. He should write to his mother and sister. Miss Martin, too, but he can scarce hold a pen. Still, he never gets a reply. He doubts his letters have been posted. His breathing is easing, the rasp settled into a whistle. He closes his eyes to remember his favourite lines from Job. It’s the east that brings the wind at Yarmouth, he remembers, and the biting frost. He is speeding over the frozen Ormesby broad, his skates cutting frosted lines through pearly ice. Swerving past the brackish reeds and mounds of snow that mark the water’s edge, each time he circles closer to its centre. Pale sunshine glints through the black-laced fingers of skeletal trees. Throwing back his head, he fills his lungs with cold sharp air and whoops in exhileration. Looping the loop, he spins into an endless whirl of dazzling white. Immediately on his inspection of the Unité hospital ship, Captain Williams ordered all the prisoners’ clothes and bedding be burned and replaced. Every man was to have a Sunday suit as well as work-day clothes rather than the single set each wore until it drops to pieces from his person. The Unité’s school, long in abeyance, was to be resumed forthwith and each hulk have a lending library, holding suitable books of an instructive and amusing nature rather than devotional works alone. Patients suffering from pulmonary diseases, the most common complaints on the hulks, should be sent to a hospital on land, away from the damp marshes that bred agues. If this proved infeasible, a large hospital hulk must be provided instead. Imprisonment, when awarded, the Inspector insisted, is not with the intention of being in itself dangerous to life. Among Williams’s most trenchant criticisms of the hulk regime was the treatment of the dead. My prison experience satisfies me that there is no surer way of touching the hearts of the living, however obdurate they may be, than by a respectful attention to the dead. The dying should be attended regularly by medical staff and screened from other patients. Each man should be offered Communion and visited by a minister of his faith, unless otherwise requested. The corpse must be washed respectfully, covered by a pall, and carried to burial by six convicts who should observe the religious rites, given immediately on internment. But when William John Jarvis passed away on 14th February 1843 his body was rowed ashore to the Arsenal wharf, slung in a wheelbarrow, and pushed by a convict to the dead-house. There, his organs may have been taken for dissection before his corpse was sewn up and finally taken to the unmarked and unconsecrated burial ground. Thrown into a recently dug pit without any shroud, it may have been hours before a priest conducted a perfunctory service over his remains. Captain Williams’s report led to a thorough overhaul of the organization of the hulks, though overcrowding continued as, one by one, the Australian states closed their doors to Britain’s convicts in the mid-century decades. Conditions reported by Henry Mayhew in his Criminal Prisons of London (1862), revealed improvements in sanitation, education, and spiritual welfare. But the burial ground, photographed and engraved by John Binny, was as bleak as when William Jarvis was laid to rest. We could just trace the rough outline of disturbed ground at our feet. Beyond this was a shed, where cattle found shelter in bad weather; and to the right the land shelved up between the marsh and the river. There was not even a number over the graves; the last, and it was only a month old, was disappearing. In a few months, the rank grass will have closed over it, as over the story of its inmate. And it is, perhaps, well to leave the names of the unfortunate men, whose bones lie in the clay of this dreary marsh, unregistered and unknown. But the feeling with which we look upon its desolation is irrepressible. I have searched for William John Jarvis for over a decade. Huge thanks to the archivist Kate Raine and Sharon Howard from the Digital Panopticon Project who found me his hospital records and date of death, and put my mind to rest. Great Yarmouth Gaol Register, 19 March 1841. Essex Herald, 30 March 1841, p. 3. Great Yarmouth Gaol Register, 19 March 1841. William John Jarvis was baptized 16 September 1813, son of Martha and William Jarvis, sailor. Ancestry.com. Norfolk, England, Bishop’s Transcripts, 1685-1941 [database on-line]. Provo, UT, USA: Ancestry.com Operations, Inc., 2014. Norwich Mercury, 27 March 1841, p. 3. Sarah Martin, Everyday Book, 23 June 1841. Everyday Book, 23-24 June and 2 July 1841. Everyday Book, 1-2 July 1841. Accounts and Papers, Crime and Police, Vol 32, Session 3 February – 12 August 1842 (1842). Accounts and Papers, p. 7. 1847  [831-II] Inquiry into the state of the convict establishment at Woolwich. Report and minutes of evidence taken upon an inquiry into the general treatment and condition of the convicts in the hulks at Woolwich. House of Commons Parliamentary Papers Online. ProQuest Information and Learning Company, 2005. Seán McConville, A History of English Prison Administration. Volume 1. 1750–1877 (London: Routledge & Kegan Paul, 1981), pp. 200-1. On learning her husband died on the hospital ship 13 September 1846, the wife of J. McK. wrote to John Strickland of the Unité, referring to twelve letters from her husband he had mentioned in the notification. See 187 (149) Convicts (Woolwich). Copy of a report made by the Superintendent of Convicts, to Her Majesty’s Principal Secretary of State for the Home Department, respecting the treatment of convicts in the hulks at Woolwich. Appendix 13, p. 28, House of Commons Parliamentary Papers Online, ProQuest. This report defended Superintendent John Henry Capper and the Chief Medical Officer Peter Bossy against the allegations in Williams’s Inquiry. Quarterly returns of prisoners in hulks, TNA_CCC_HO8_075_00162 – Mar 1843 – (Died at the hospital on 14 Febr 1843); http://discovery.nationalarchives.gov.uk/details/r/C4286693. Inquiry, p. xv. 387. McConville, A History of English Prison Administration. Mayhew and Binny, The Criminal Prisons of London, p. 224. This entry was posted in convicts, Offending. Bookmark the permalink. Thank you Michaela. It’s a devastating story. Wonderful you find it cinematic. I’m aiming to weave story and social history through scenes so it’s great you have picked up on that! That’s lovely to hear Paul. It’s been a very moving experience writing about William Jarvis. Very moving and very informative thank you for sharing your work.